The default module settings and "Load from Server" is great, but would be good if it could be extended to have a "Load ALL from Server" to load the default settings for all modules in one step. 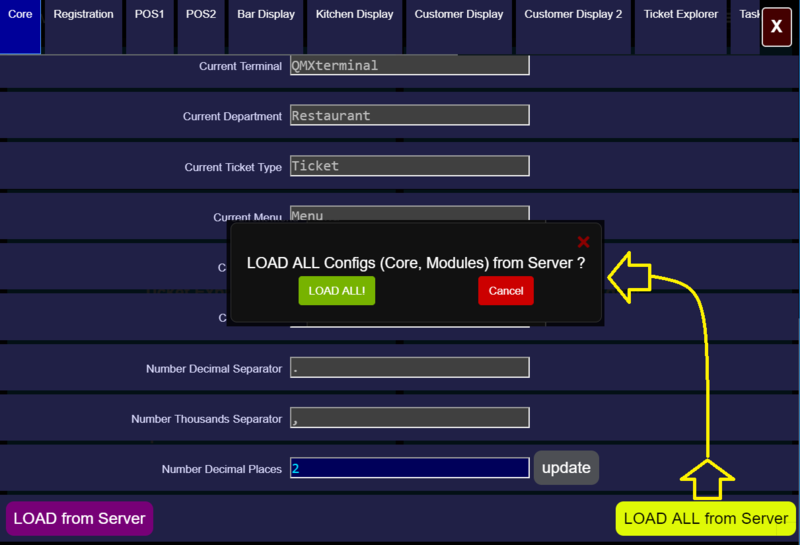 Most of the deployments I would be doing to clients would be remotely so I am thinking about what would be the most convenient way I can configure all the settings on the server then instruct my client to connect the tablet and load all the settings at once. Also, could the way the "update" buttons be changed - the way it is currently with one button per field, you have to set the value then click update. It doesn't work well if you are making many field changes at once. Also, if you make a change to another field then click update, it resets the value in all fields except the one you update (came across this a few times as by habit I wanted to change a few things at once!....). It would be good to have an "update all", or at least stop it from resetting other values when clicking individual "update" buttons. I will work on this for a future version.